As with any kitchen or wardrobe, accessories make all the difference. It is the same for Dutch oven cooking, especially if you want to cook outside and in some degree of comfort. Following is a gallery of items that I think are necessary for the Dutch oven chef. Be forewarned, Dutch oven cooking can be an expensive hobby, but many of these items are one-time purchases and should last a lifetime. This gallery is in no particular order or priority. 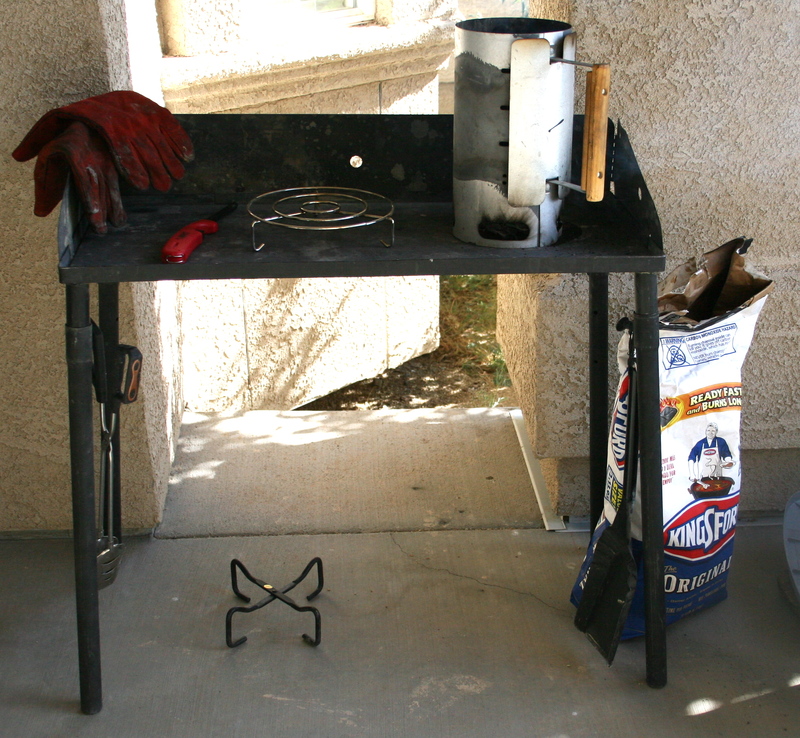 This cooking table, manufactured by Camp Chef, makes Dutch oven cooking easy on the back. 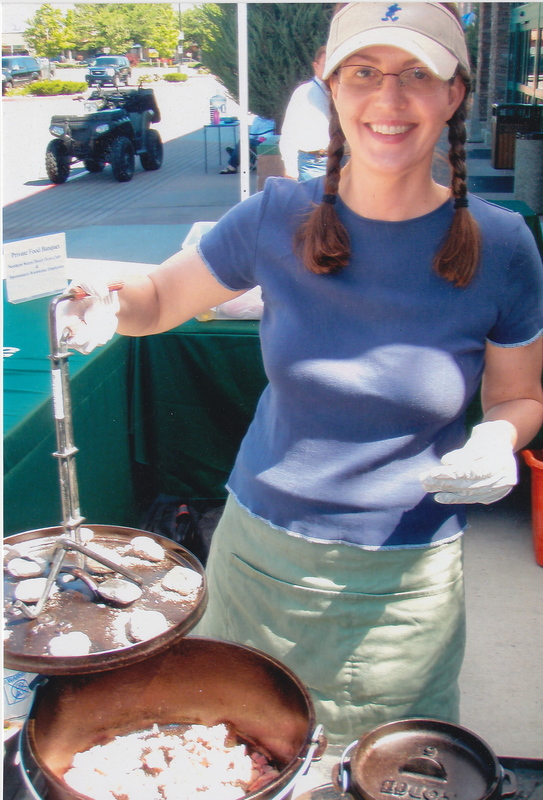 No bending over campfires, fire pits or aluminum garbage can lids (yes, many people cook this way with their ovens). It is easy to assemble – the legs and wind guard come off – and can be toted in a durable vinyl grill bag. The charcoal starter should be familiar to anyone who camps. 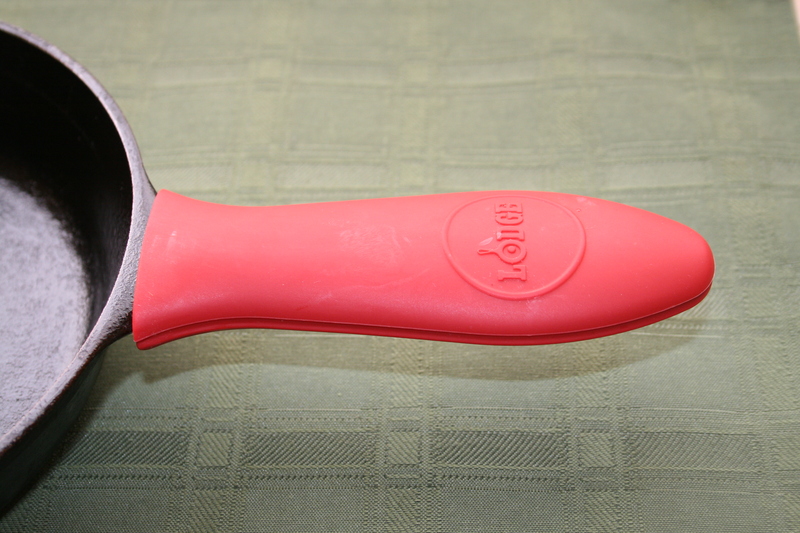 It is an essential tool in Dutch oven cooking. Coals go in the top cylinder, newspaper is rolled into the bottom and lit. Coals take about 20 minutes to heat through this method. Charcoal. I think this is an obvious one, but it is important to use a high quality type. 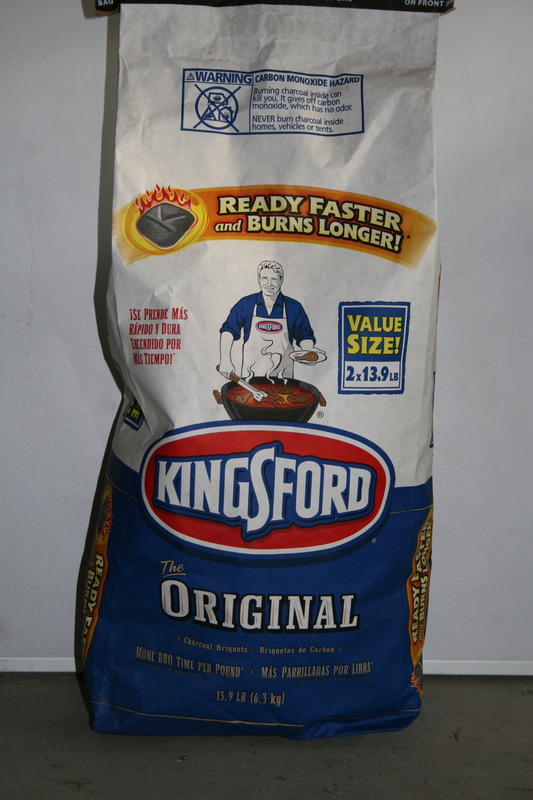 Kingsford is the best – it holds the heat the longest and provides an even temperature. Leather welding gloves – yes, that’s right – welding gloves. Cast iron gets HOT and you will feel the heat through your regular oven mitt. Cooking safely is fundamental and these heavy leather gloves will protect your hands. 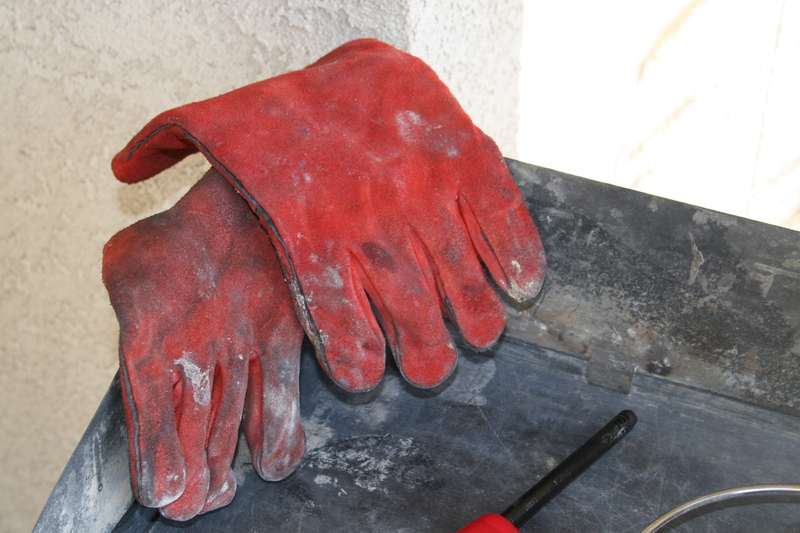 Welding gloves can be found at hardware stores or through Lodge and are relatively inexpensive. A lighter, preferably one that is long. 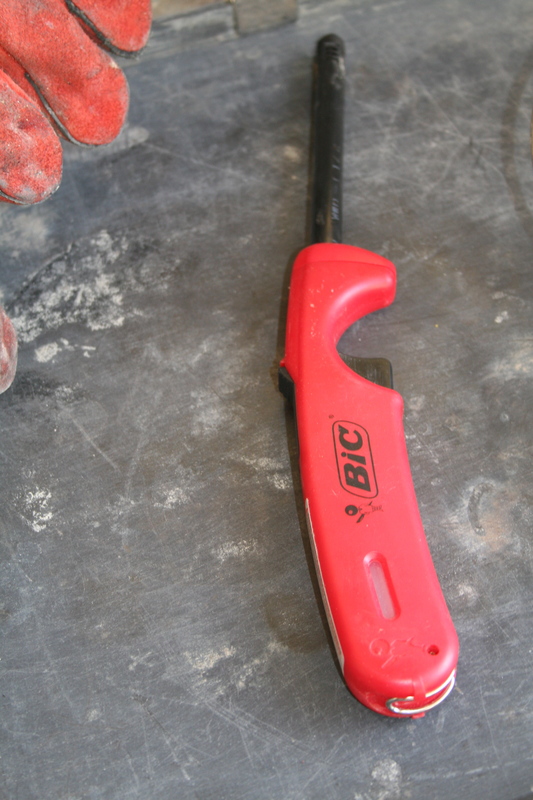 I keep four to five of these on hand because I never want be unable to light my fire. You know what I mean. 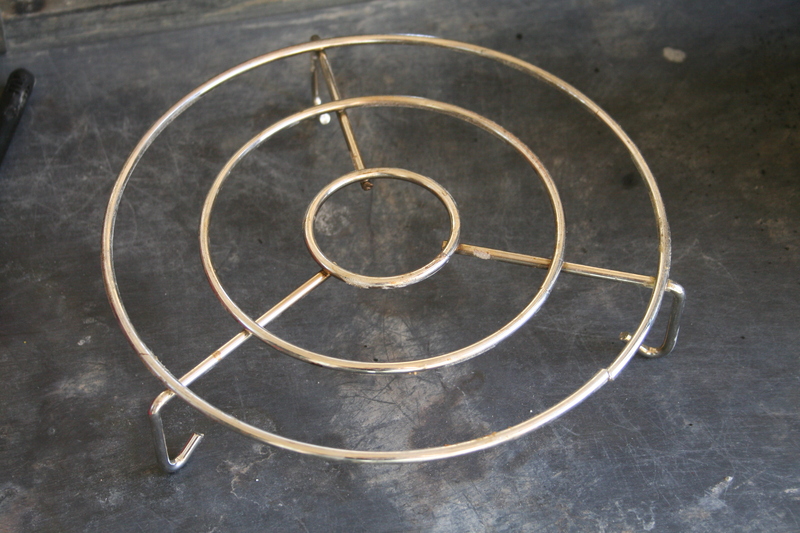 A metal trivet can be very versatile. 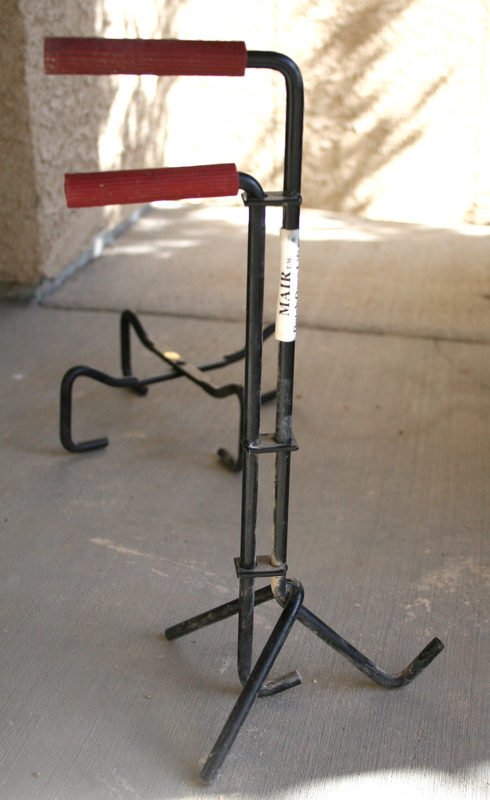 I’ve used it as legs for my poultry roaster or a skillet so coals can be slid underneath. I’ve used it as a lid stand. It fits inside my oven in case I need to raise something, like a pizza, from the bottom to avoid burning. It’s my multi-tasker. A metal lid stand can rest on the ground or on a table and gives you a clean place to rest your lid while cooking. 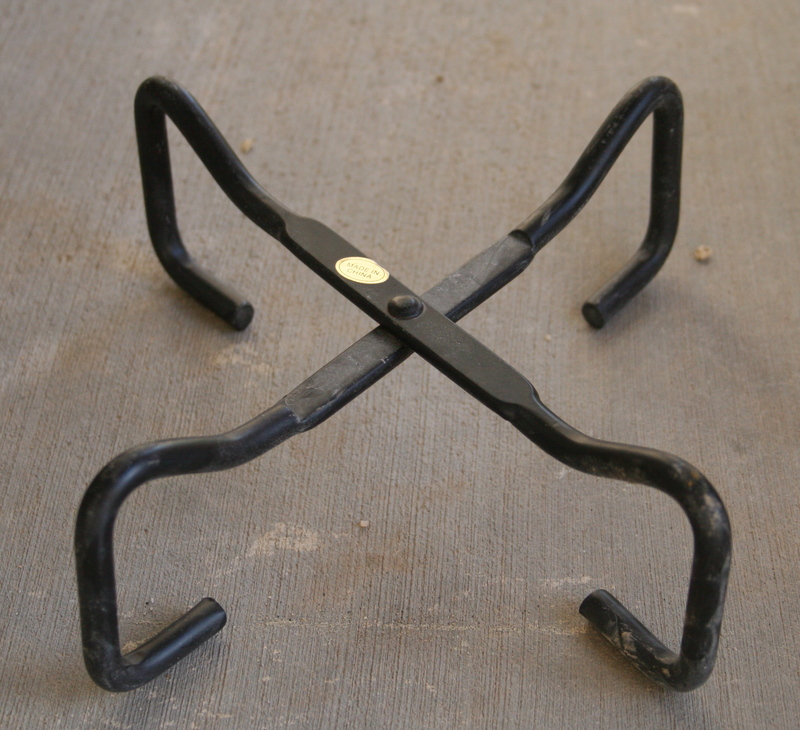 Lid lifters come in a number of varieties and sizes. 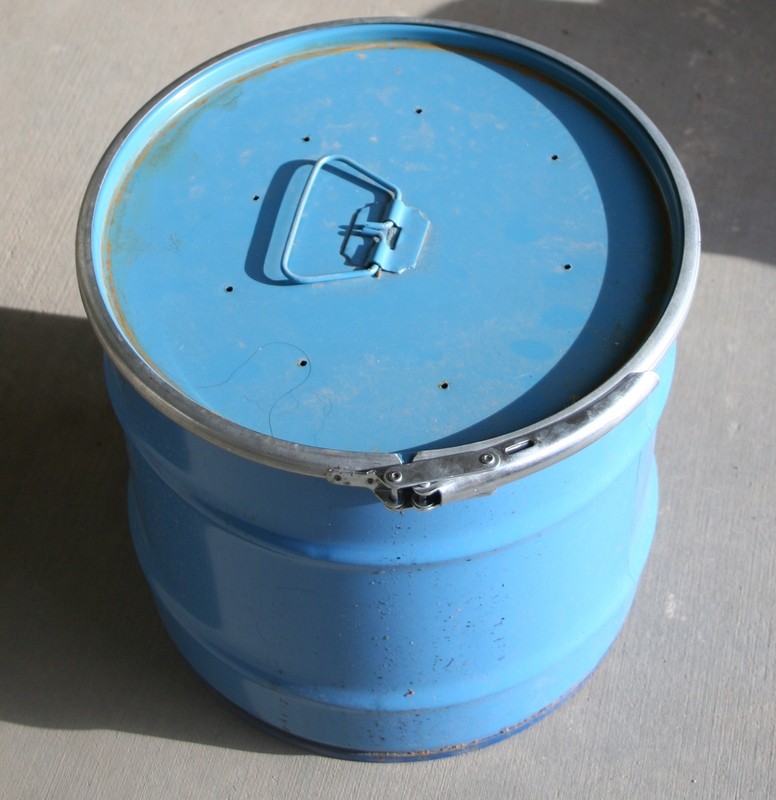 They provide stability and safety when lifting a coal-covered lid from a hot Dutch oven. Here I am, safely using my lid lifter. 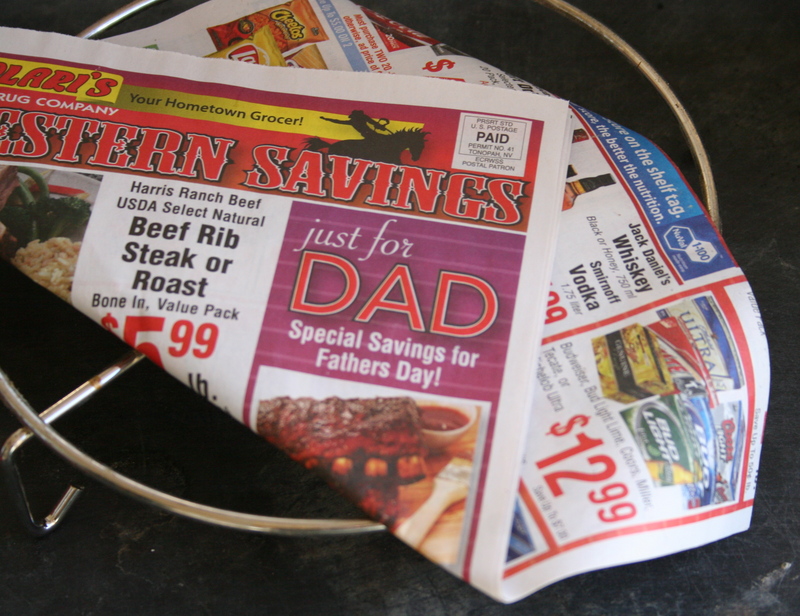 An ample supply of newspaper is good to have on hand for lighting your fire. You know what I mean. 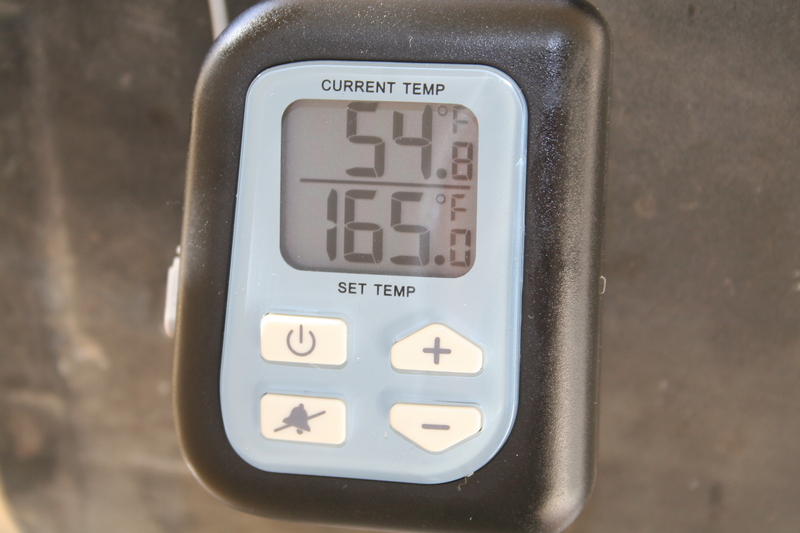 An external digital thermometer is a nice perk to have, especially if you are roasting meats that require a few hours or a specific temperature. This thermometer allows you to set your temperature and sounds an alarm when you reach it. You can find it at discount, grocery and department stores for under $20. 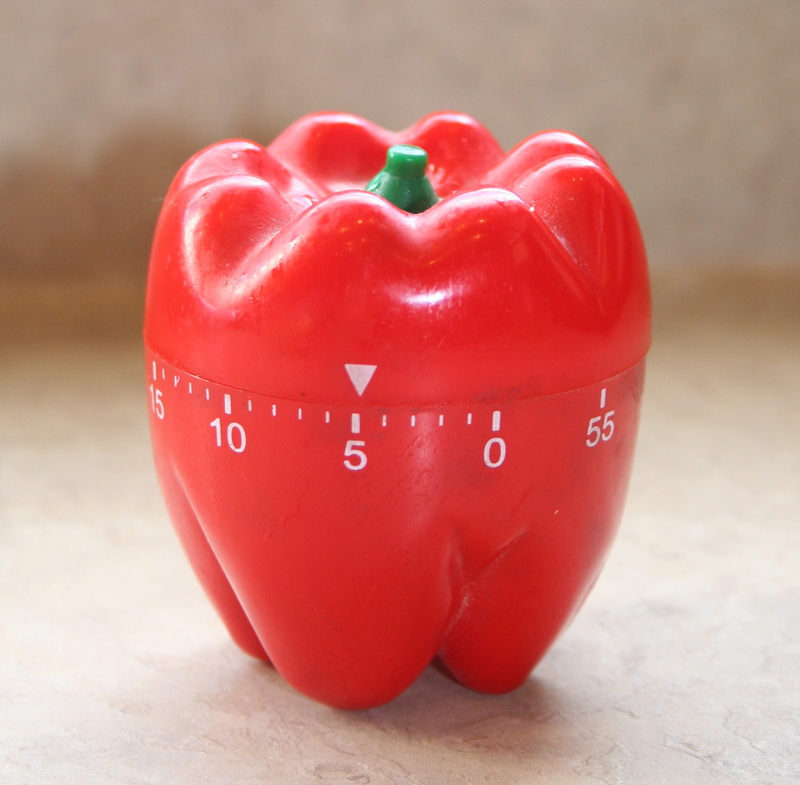 A kitchen timer is very helpful to keep you and your dish on track. 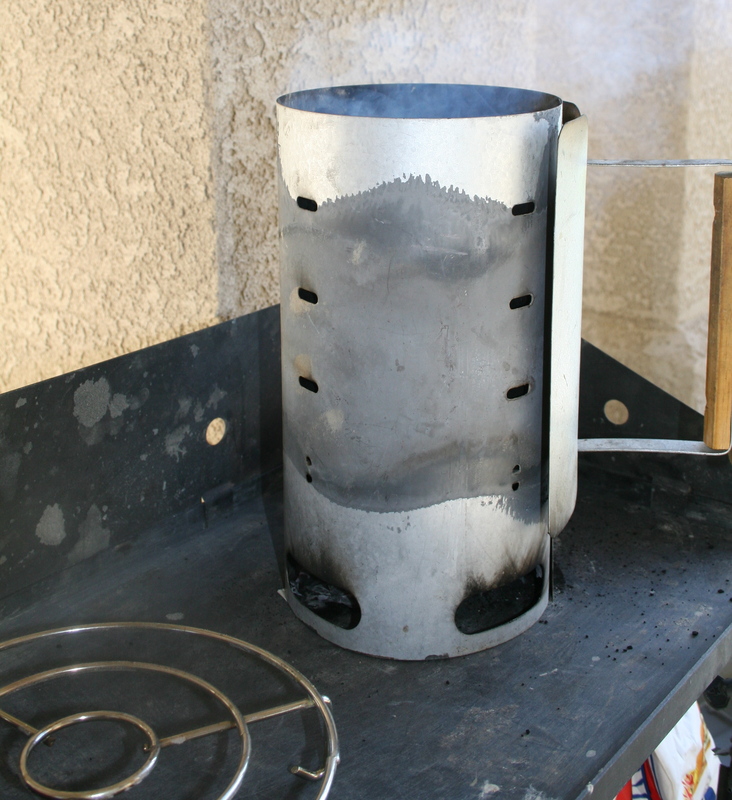 An ash bucket is essential when discarding your hot ashes. I purchased this metal bucket from a local Army Navy supply store for $10. I drilled holes into the top to alleviate any suction of the lid when the hot ashes are sealed in the bucket (otherwise you cannot get the lid off until the bucket completely cools). You can also use a heavy plastic paint bucket purchased at a home improvement store and fill it halfway with water, then dump in the ashes. One must be safe when playing with fire. 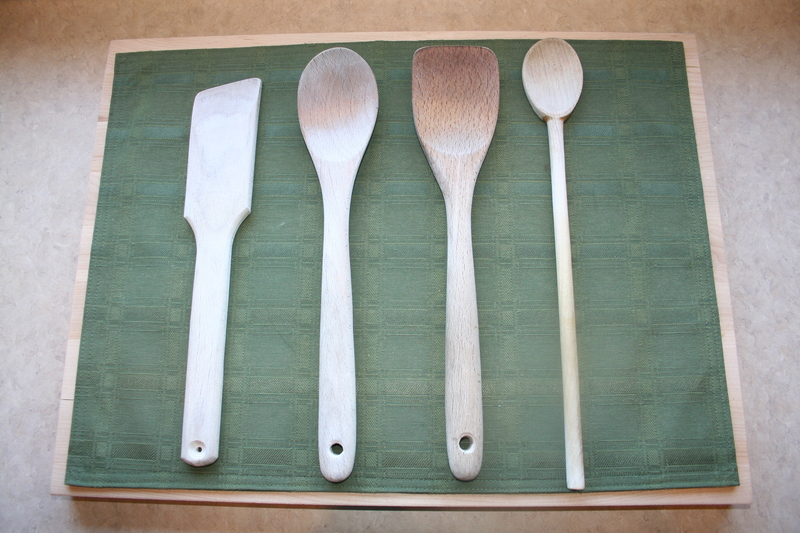 Wooden utensils are best when cooking with cast iron. They don’t scratch the surface like metal ones, won’t melt like plastic ones, and don’t get too hot to handle. 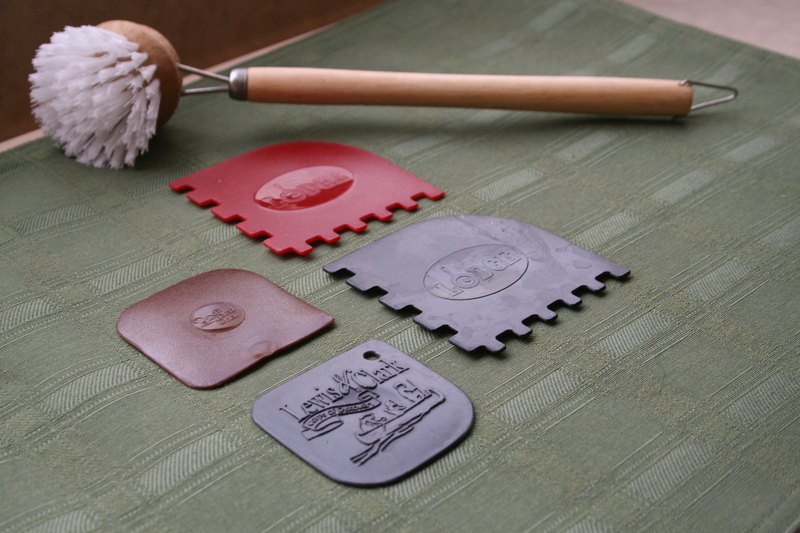 A variety of plastic scrapers of all shapes and sizes plus a soft-bristled scrub brush make cleaning your cast iron a lot easier and won’t damage the seasoned surface. 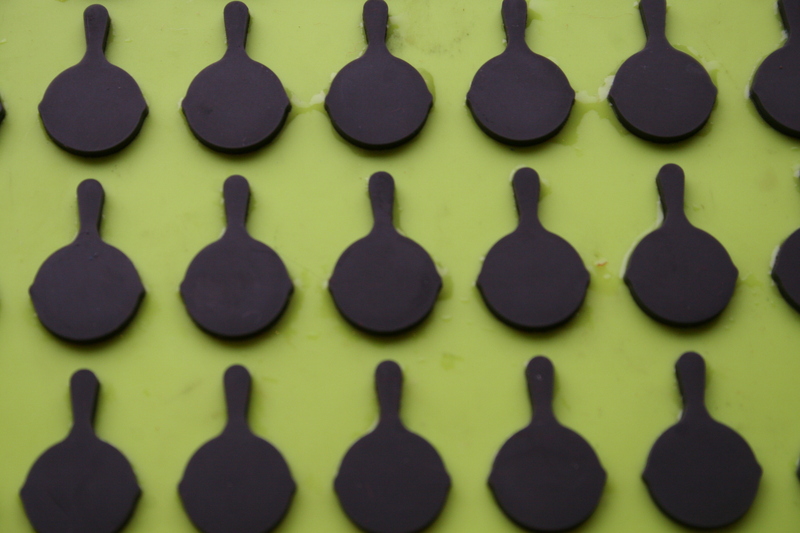 Lodge manufactures these nifty silicone hot handle holders which are ideal for cast iron skillets and griddles. 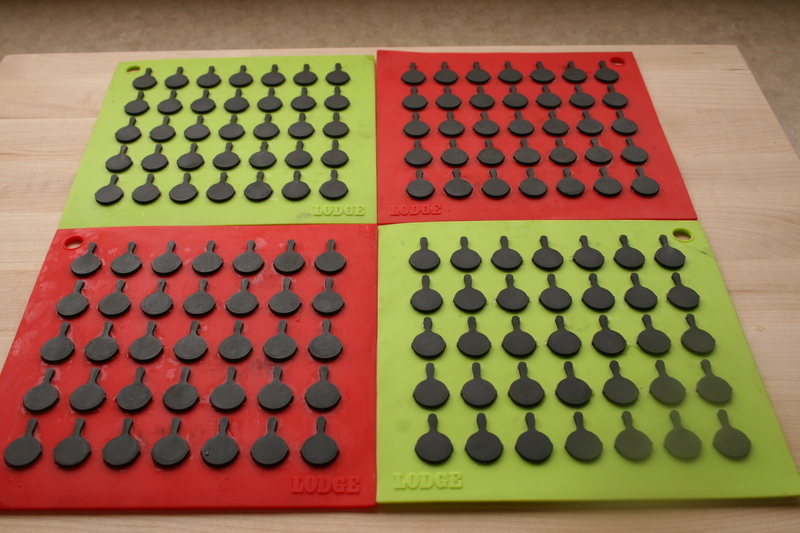 These silicone trivets provide a safe and ample surface to place your hot Dutch oven or skillet. Plus I really like the pattern. Stay tuned for the next installment of Dutch Ovens 101: Restoring Rusty Cast Iron.